LDPE/ Cellophane Bags. 100 x 200 50. 100 x 260 50. 100 x 310 50. Side Gussett : 50 mm. 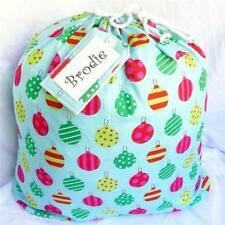 X5 Large CHRISTMAS Gift Bags. X5 per item sold. The real colour of the item may be slightly different from the pictures shown on website caused by many factors such as brightness of your monitor and light brightness. The outdated way of cutting wrapping paper has never worked, because the slice is either jagged, ripped, or crooked. Now use our Wrapping Paper Cutter, to open a safe and easy way for cutting wrapping paper. 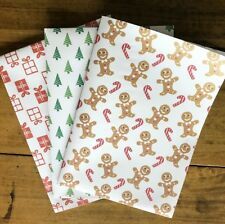 1 Gift Wrapping Paper. Color:send at random. Products size:52x75cm. 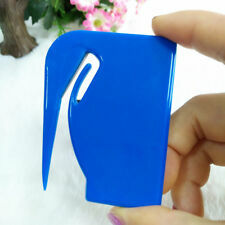 Smart BEER SODA Bottle Cap Opener Credit Card Size Stainless Steel Bar Tool Gift. Stretch Chair Seat Cover Slipcover Case Wedding Party Banquet Dining Decor BS. New Silicone Skull Ice Mold Cocktails Whisky Cube Tray Party Cocktail Mould 3D. X5 per item sold. The real colour of the item may be slightly different from the pictures shown on website caused by many factors such as brightness of your monitor and light brightness. Pictures do not represent the actual item being sold. 72 pcs Bunny stickers. Each item is quality checked before it is dispatched. So Cute! 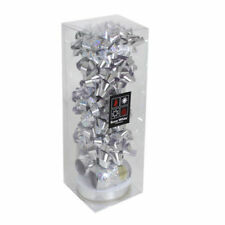 Paper Gift Bags Carry Bag Silver Glossy Wedding Party Favor Lolly Bag. Colour: purple. foldable bag. Made of paper. They are sturdy yet space saving, they look great and they are reuseable, closing with a. If you require your item. Also ribbed brown paper available. WAIT FOR INVOICE ON MULTIPLES. Jumbo CHRISTMAS Gift Bag. Pictures do not represent the actual item being sold. They are just used as a representation. The real colour of the item may be slightly different from the pictures shown on website caused by many factors such as brightness of your monitor and light brightness. 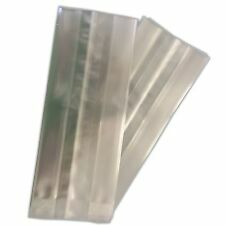 CELLOPHANE BAGS. Great quality, perfect for treat bags, food gifts, small trinket gifts. Size: 13 cm wide x 20cm high x 4cm gusset. you will recieve 10 units. Size: 12 cm wide x 18cm high. GOLD WREATH. 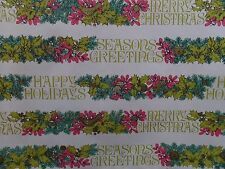 Bag has a gold back and a clear front with green and red wreath with happy christmas on it. CELLOPHANE BAGS. 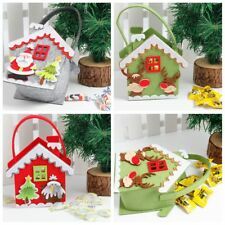 Great quality, perfect for treat bags, food gifts, small trinket gifts. Paper Gift Bags Carry Bag Silver Glossy Wedding Party Favor Lolly Bag. Colour: purple. foldable bag. Unfold size: 23.5x9x18cm (L W H). Folding size: 23.5x18cm (L W). 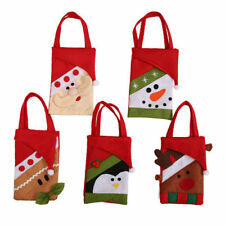 They are sturdy yet space saving, they look great and they are reuseable, closing with a.
Personalised Santa Sack. The must have Christmas product this year! Photos are representational. Colours and scale may vary slightly due to the colour absorption in the fabric. Information needed: -. 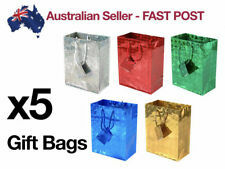 X5 Large Holographic Gift Bags. X5 per item sold. The real colour of the item may be slightly different from the pictures shown on website caused by many factors such as brightness of your monitor and light brightness. Nothing says Christmas like presents under the tree. Christmas gift wrap helps make every single gift look beautiful and unique. With different gift wrap options to choose from, you'll be able to wrap even the most intricate gifts with ease. One of the popular gift wrap types is wrapping paper. 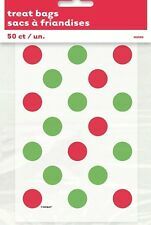 Wrapping paper refers to decorative gift wrap that is put on a roll for easy use. Wrapping paper is great for wrapping gifts that are boxed, but may be less useful for soft gifts. Luckily, there are plenty of options when it comes to Christmas gift wrap. Usually made of cardboard or paper, gift boxes are boxes that have a base and a detachable lid. Gift boxes are a great choice for your Christmas gift wrap because you can simply put oddly shaped gifts inside the box to give them a streamlined look. 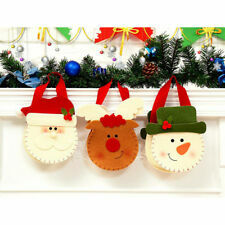 Add party bows & ribbons on top for a festive Christmas feel. 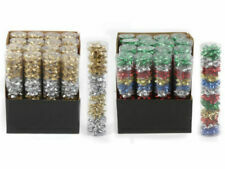 Ideal for presents like ornaments, stuffed animals, or clothing, gift boxes make wrapping your presents quick and easy. Another popular gift wrapping option is gift bags. Gift bags are usually pre-decorated with festive designs and come in different sizes so that you can fit any size gift inside your gift bag. Gift bags are made from a range of materials including paper, cellophane, and even fabric. 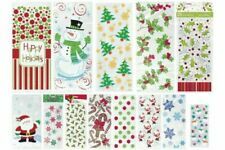 Create a Christmas to remember with Christmas gift wrap from eBay!